Olympea by Paco Rabanne is an oriental and floral fragrance for women. This scent has a very unique combination of floral and oriental notes as well as refreshing salt accords. It contains green mandarin, water jasmine, ginger lily, salted vanilla, sandalwood, cashmere and ambergris. It is the female counterpart to Rabanne's popular scent Invictus from 2013. The name is a reference to the Greek goddess Olympia. 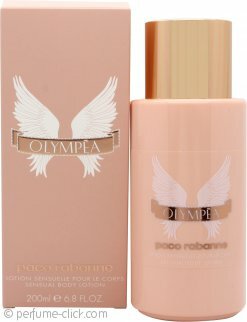 Olympea was launched by Paco Rabanne in 2015.